Research Mission: Many forms of data are geometric in nature - from discrete representations of 3D objects (e.g. range scan data from real-world objects) to high-dimensional data exhibiting lower-dimensional manifold structure (e.g. dense measurements of a system that evolves by simpler physical laws). Geometry processing concerns itself with the manipulation, analysis and simulation of such data. Differential geometry provides a powerful language for the analysis of the intrinsic geometric properties of shapes and their inter-relationships. Many of the most successful geometry processing algorithms can be formulated as solutions of discretized PDEs that can be understood via the body of knowledge provided by differential geometry concerning the properties (e.g. convergence, robustness, etc.) of the continuous limits of these equations. In particular, many triangle mesh operations (e.g. deformation, editing, re-meshing, parametrization) can be seen as discrete variational problems in which the desired outcome optimizes an energy function subject to user constraints. Here, partial differential operators arise as the gradients of the energy functions. I am interested in understanding and developing algorithms for processing geometric data based on variational principles and other applications of differential geometry and partial differential equations. 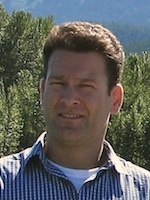 In 2013 Adrian Butscher joined Autodesk Research, Toronto.